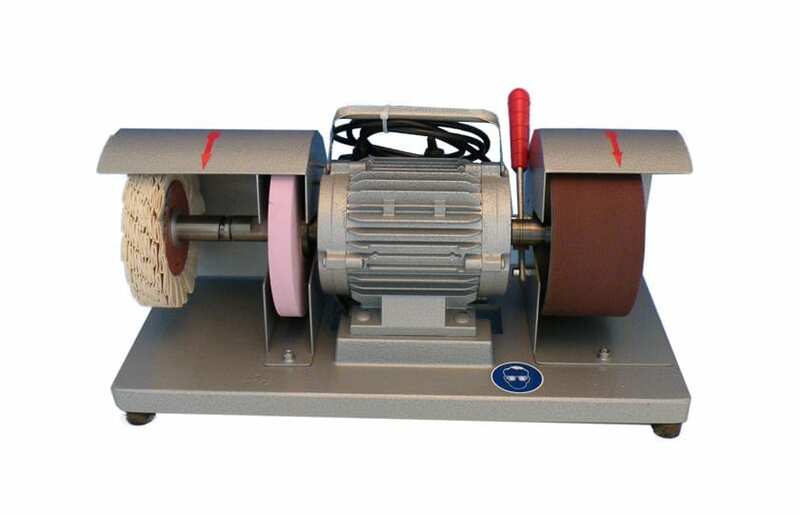 The serration grinding machine FAPI-WS 150 PERFECT is the lowest priced machine in our programme. This machine is used to grind and hone serrated knives and scissors. With its integrated bayonet quick release system both on the right and the left, it can however also be used for other grinding and polishing work.